Wiremold Evolution™ 6-Gang On-grade rectangular floor box has sturdy steel construction for added safety. It has 3/4 to 2-Inch knockouts. Outer compartment has 32-Cubic-Inch capacity and center compartment has 38.5-Cubic-Inch capacity. It measures 11-3/16-Inch x 15-1/8-Inch x 4-1/16-Inch. A fully finished interior of this floor box facilitates plugging and unplugging of devices. 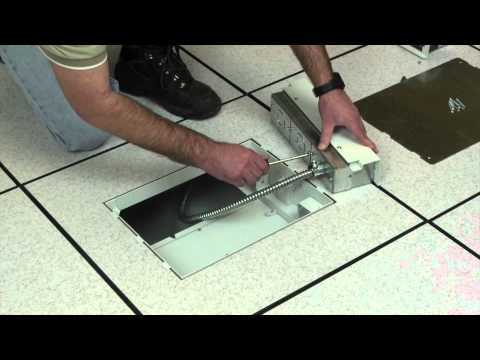 This fully adjustable floor box is compatible with Wiremold Walkerflex modular wiring system. 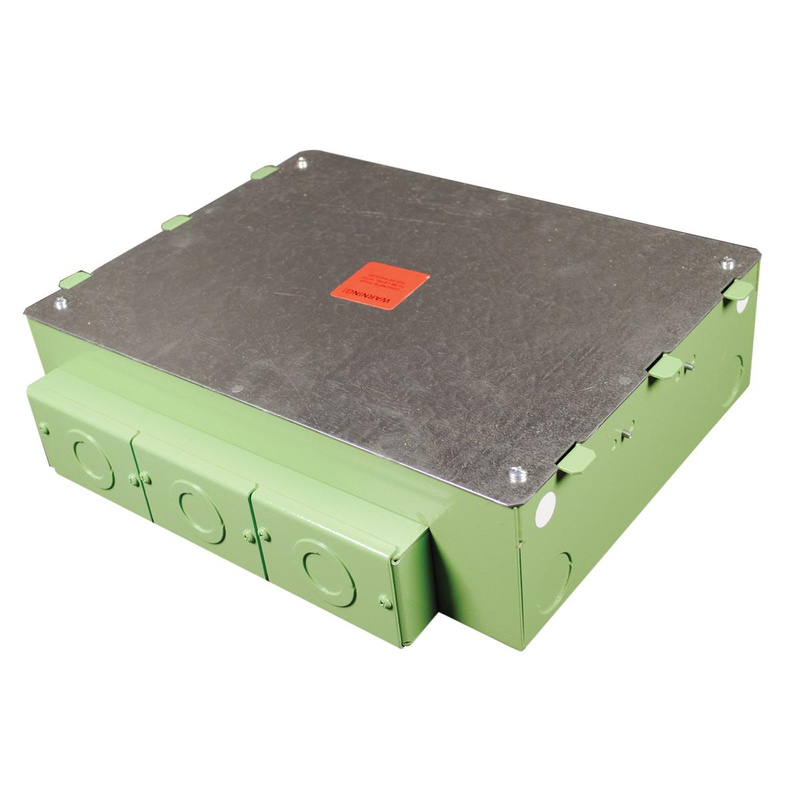 This rectangular floor box comes with protective/disposable cover, tunnel system for connecting two modules of compartments, two removable modules, two cable management guides, two leveling support legs for concrete applications. It supports installation in concrete floors, raised floors and wood floor applications. Floor box is RoHS compliant.